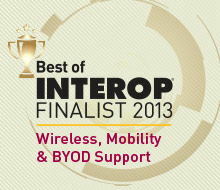 Mersive’s Solstice software has been selected as a Best of Interop 2013 finalist in the “Wireless, Mobility and BYOD Support” award category. The Best of Interop Judging Committee, comprised of 16 award-winning IT editors and analysts, reviewed nearly 150 entries and selected finalists based on the products with a significant technical impact with the most potential of advancing the business technology market. Mersive will showcase Solstice in booth #538 at Interop Las Vegas, taking place at the Mandalay Bay Convention Center May 7-9. If you are attending Interop and would like to set up a meeting with one of our executives, please contact Erin Brown. Mersive is offering free 30-day trials of Solstice software. 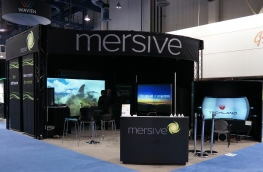 Mersive recently announced Solstice Client Software’s compatibility with iPods, iPhones and Windows 8 laptops/ tablets. 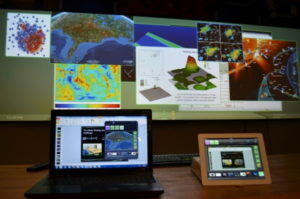 Solstice enables multiple users to connect simultaneously to a shared display using a range of devices and applications over an existing WiFi or Ethernet network. With Solstice, you can walk into a meeting room and instantly connect, share and control the display fostering collaboration and decision making. The trial needs to be installed on a Windows 7 PC connected to a display. Then you can download the free Solstice Client Software onto your laptops and mobile devices from the Mersive Web page and iTunes store. Request your free 30-day trial copy of the Solstice Display Software here. If you’d like to learn more about Solstice, you can find videos and collateral here. InfoComm 2013 is just around the corner! Mersive will be releasing a new version of Solstice (version 1.1) just prior to InfoComm, which takes place June 10-14 in Orlando. The new release will add Android client support, new controls for meeting presenters and the ability to integrate with external video sources. If you would like a free expo pass, you can enter the VIP Code: MER1487 when you register here. If you are attending InfoComm and would like to schedule a demo or meeting, please contact Erin Brown. If you’re exhibiting at InfoComm, and you’d like to have Solstice software running in your booth, please contact Christine Owens.